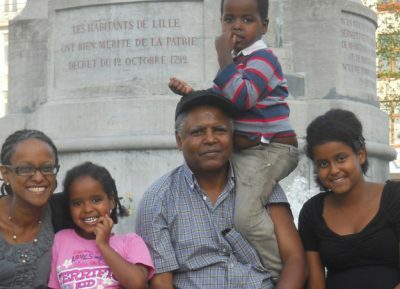 Andy Tsege, a kidnapped democracy campaigner facing execution in Ethiopia. Image snapshotted from YouTube video uploaded  on the Reprieve YouTube channel. Yemi Hailemariam a British woman of Ethiopian descent ran against Theresa May as a fringe candidate in the UK’s parliamentary election, in order to bring to public attention the plight of her husband Andargachew Tsege. 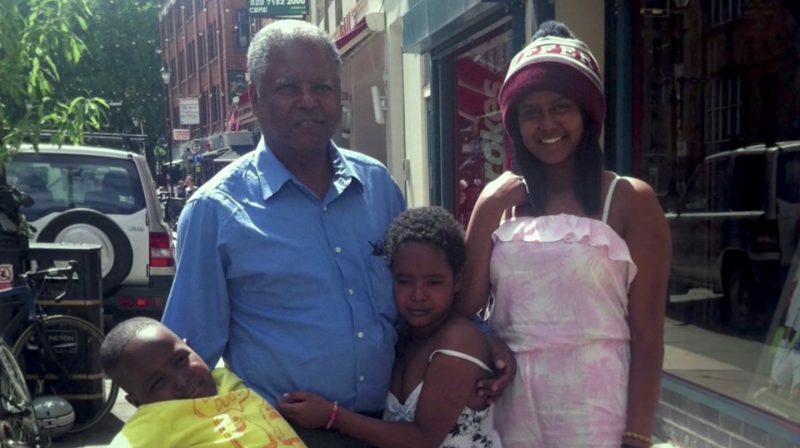 Andargachew ‘Andy’ Tsege is an Ethiopian-born British citizen who had been living in London with his wife and three children for over four decades. He was kidnapped  by Ethiopian security officials in transit. On June 23, 2014, Andy’s flight arrived in Yemen at Sana’a airport, where he was supposed to catch his connecting flight to Asmara, Eritrea’s capital. Yemeni authorities detained Andy and extradited him to Ethiopia where he faces a death sentence based on his conviction for plotting to overthrow the regime in 2009. Yemi ran as independent candidate in May's constituency. She received few votes but her campaign was an effective one in that she was able to put her cause to the Prime MInister directly. On the election night Yemi wore a t-shirt with ‘Free Andy Tsege’ printed on it and shook hands with May. The winner is Yemi! I was watching the results of British elections live on BBC. Despite the self-inflicted pains, British PM Theresa May kept her Maidenhead seat, which she has held since 1997. But that wasn't the interesting part I watched on the screen. There were a number of candidates who crowded the screen along with the PM. But for me it was a vibrant and creative woman wearing a t-shirt with a message: “Free Andy Tsige”, who stood out as the winner. Yemi Hailemariam decided to run against Theresa May not to unseat her. But she wanted to draw attention to the hypocracy that the British PM and her government ignored the plight of Andargachew Tsigie, a naturalized British citizen and the father of her three kids. Yemi not only got some votes but also a national platform to raise awareness on the suffering of a freedom fighter illegally kidnapped, renditioned to Ethiopia and still languishing in jail. Yemi, along with her three children has been running a campaign  to be reunited with Andy since the summer of 2014. Andy, who is part of the diverse diaspora-based opposition to the Ethiopian regime has been blamed by the government for fuelling recent anti-government protests in his homeland. He was part of the Ginbot 7 opposition group. Since October 2016, Ethiopia has been under a state of emergency as anti-government sentiment rises. In the crackdown that has followed, a number of opposition leaders have either fled the country or been imprisoned.